A suite of nine darwings in ink and watercolor, on handmade Khadi paper, each approximately 81/2 x 11 inches. 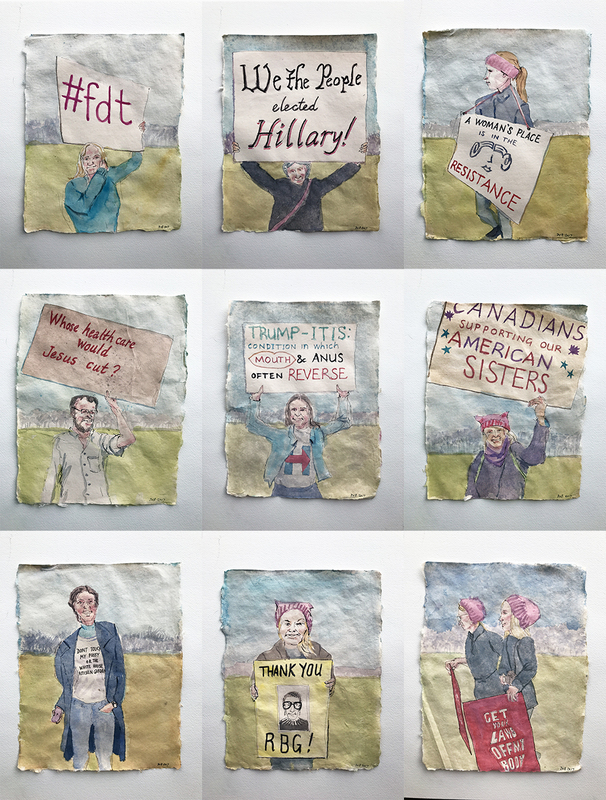 Based on my own photos and experiences in the crowd during the Women's March on Washington, DC, in January. These will be individually framed and exhibited at Upstream Gallery in March.